We debuted video game manufacturer Namco Bandai’s newest games on Ellen in order to impact retail partner holiday sales!We made Canadian Club Don Draper’s drink of choice in Mad Men, and provided a platform to build a national advertising campaign partnership. Namco Bandai is a video gaming brand that creates toys and games targeted to families and children. Holiday is one of the largest time periods for sales, and they tasked Hollywood Branded in helping them find a way to make a major impact for several titles. Talk Shows are the #1 outlet for moms across entertainment platforms, and Hollywood Branded targeted the #1 daytime talk show to reach the desired demographic – The Ellen DeGeneres Show. Oprah Winfrey started the “favorite things” craze with her talk show in the 90s, and the new Queen of daytime TV has tweaked the idea to create “12 Days of Giveaways” in December leading up to Christmas holiday. 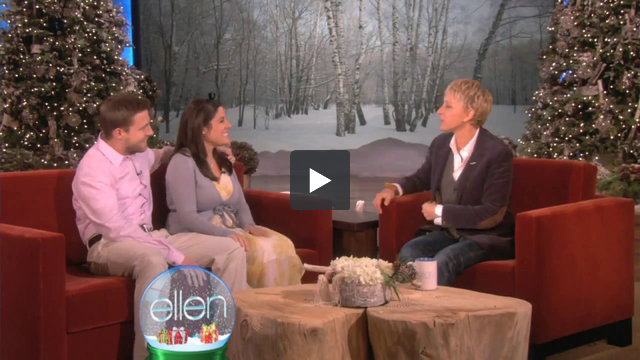 During each giveaway day, Ellen DeGeneres presents her live audience and some lucky viewers at home the top items for the year’s holiday gifting, while providing the brand verbal mentions, logo exposure, and brand messaging. Hollywood Branded presented Namco Bandai to Ellen DeGeneres and the show’s producing team, they were approved to appear on one of the 12 days just in time for the Christmas Holiday! Ellen DeGeneres gave away over 425 Nintendo Wii game consoles with Namco Bandai games to her audience of over 4.2MM. The giveaway was also posted on The Ellen DeGeneres Website as part of an online giveaway for additional exposure.